Do you attempt to control the temperature in different rooms of your home by closing the registers or vents? 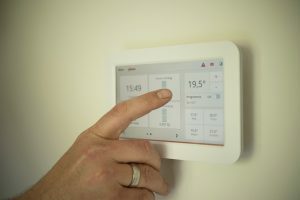 Maybe there are certain rooms that don’t get used as much or some family members have different opinions of what the desired indoor temperature should be. You may think that this practice is helping you save energy and allowing your HVAC system to work more efficiently, but in actuality, you are likely doing more harm than good. In fact, you could be increasing your chances of needing oil furnace repair in Reidsville, NC, as a result of this practice. Here’s why. HVAC systems are designed to heat and cool a certain amount of space. Furnaces and air conditioners are sized according to the total square feet to be heated or cooled. When you take even one room out of the equation, your system won’t work properly. You are rendering your variable-speed motor useless. If you happen to have an HVAC system with a variable-speed motor, closing some of your vents will cause the motor to run at high speed for longer, negating the efficiency benefits. It restricts air flow. With a single-speed motor, closing some of your registers will impede air flow between rooms and throughout the ductwork, which causes the rest of your home to heat or cool unevenly. It may result in leaks in your ductwork. Closing some of your vents puts extra pressure on your entire system, which can cause your ducts to develop leaks. This means air can seep in and out of the ducts when it shouldn’t. Your evaporator coil could freeze over. When it comes to your air conditioner, low air flow from closing registers can lead to a frozen evaporator coil, which prevents your AC from cooling your home. Your compressor could break. Extra pressure on your system could lead to a broken compressor, which is the part responsible for circulating refrigerant throughout your HVAC system. No compressor equals no cool air. If you are concerned that closing your registers has done damage to your heat or AC, contact Carolina Fuels for oil furnace repair in Reidsville, NC, as well as for repair of any other type of system from propane, to gas, to electric. What are some alternative solutions? Instead of closing some of your vents, consider applying a zone temperature control system in your home. This could be a separate zone and thermostat for your upstairs and your downstairs, or a separate zone for your basement. A zone system allows you to heat and cool certain areas of your home to different temperatures. The ductwork leading to certain rooms can be closed off from the rest of the ducts with a damper system. Certain HVAC models are designed to handle multi-zone households. If you are interested in upgrading to a multi-zone HVAC system, contact Carolina Fuels. Expert technicians can install a new HVAC system in your home quickly and accurately, ensuring proper operation. Carolina Fuels also offers oil furnace repair in Reidsville, NC, and a full range of home comfort services from propane delivery to annual tune-ups. Call (336) 623-9741.